Ray Arsenault, The John Hope Franklin Professor of Southern History at USF St. Petersburg speaks on his book, Arthur Ashe: A Life. This is the first comprehensive, authoritative biography of the great tennis champion, Arthur Ashe, "who belongs on the Mount Rushmore of elite sports figures who changed America." 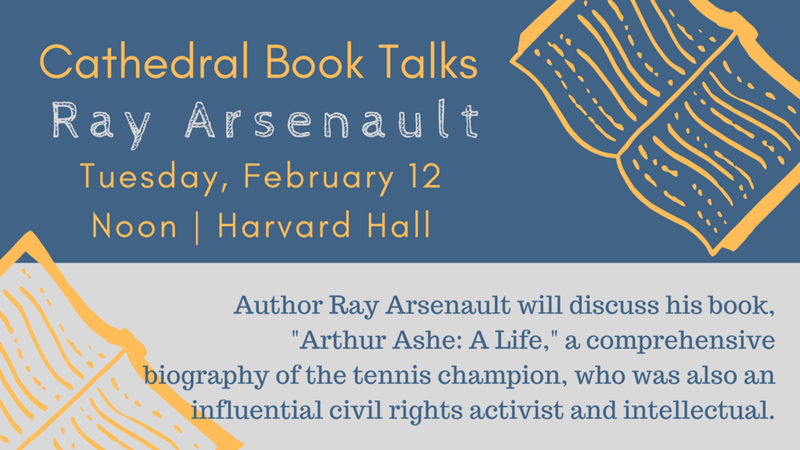 After breaking the color barrier, Ashe went on to become an influential civil-rights activist and public intellectual, Arthur Ashe: A Life is a New York Times Notable Book of the Year and was listed as a 2018 favorite by President Obama. Based on prodigious research, including more than 150 interviews, this insightful and compelling biography puts Ashe in the context of both his time and the long struggle of African-American athletes seeking equal opportunity and respect.